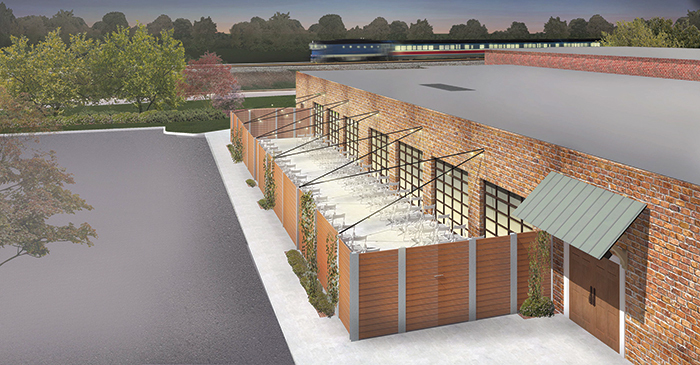 Partners Todd Mozingo and Sarah Shumay plan to open Chatham Station, Cary’s latest event space, this month. 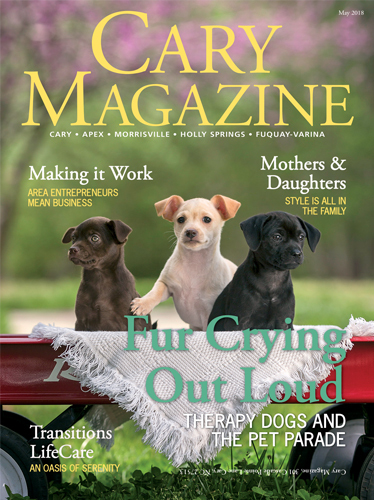 The pair are experienced entrepreneurs, Mozingo as owner of Raleigh’s Edible Art Bakery & Dessert Café and Shumay as founder of Sweet SaraBelle Weddings. “I think we both bring something different to the table,” she says. Upon entering Chatham Station, guests are met with natural light and whitewashed brick. In advance of the venue’s May opening, tools, hanging wires and air-conditioning components occupy the airy event space. 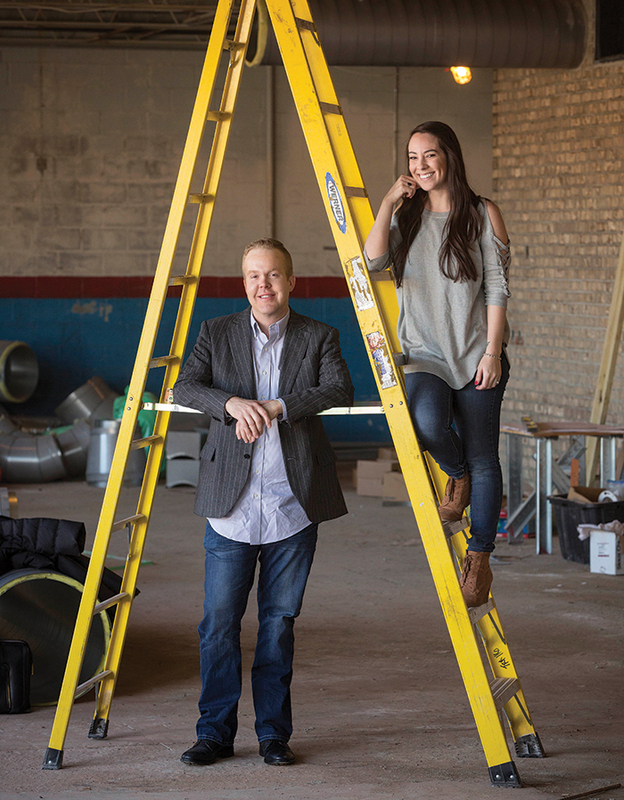 Behind the scenes, owners Sarah Shumay and Todd Mozingo are hard at work — booking clients, meeting with vendors and supervising construction workers. The space, complete with multiple bay doors, is the former home of Just Tires in downtown Cary. 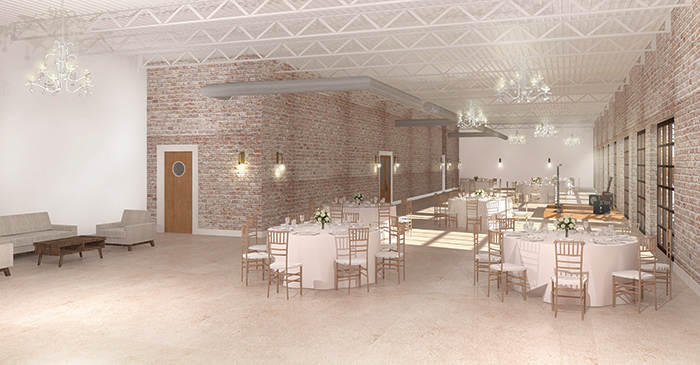 When finished, the venue will have an industrial-chic feel, welcoming both modern and traditional clientele. Shumay and Mozingo entered the event-planning and bakery businesses, respectively, seven years ago. When Chatham Station, a partnership between the two, opens this month, it will host brides, grooms and groups of all sorts. Workmen put the finishing touches on the interior of Chatham Station, which will feature 4,500 square feet of open meeting space and seven glass garage doors to let in natural light and breezes, should the weather permit. Each entrepreneur brings something different to the table from their former careers. Shumay, who comes from multiple generations of women in the hospitality business, says serving people is in her blood. She began her career as marketing director for a student housing facility, putting on events for college students, but she quickly realized her niche wasn’t planning bikini car washes or pizza parties. “I found that I was focusing on small details, focusing on the pizza party display and the candy buffet and things like that,” she said. She wanted something more of out a job in event planning, so she started her own business — Sweet SaraBelle Weddings. The detail-oriented Shumay styles her clients’ events with a personal touch. Mozingo studied law at UNC-Chapel Hill. When he changed course a few years into the practice, he decided to focus on something that made him happier — baking. He found his place at the venerable Edible Art Bakery & Dessert Café in Raleigh, which he took over in 2011. Mozingo says he acquired the ingenuity, determination and perseverance of a business owner at Edible Art, which has made his time there successful. “I don’t foresee that vision changing here,” he said, about Chatham Station. Shumay and Mozingo will combine their strengths to establish a wedding and event destination, all while building their respective, individual businesses. The idea for the venue formed when the pair met at various networking events and formed a friendship which grew into a partnership. The entrepreneurs come from different backgrounds, but the two realized they could form a successful business. “I think we both complement the style really well,” agreed Shumay. “I think we both bring something different to the table. I am learning a lot from him and vice-versa. She plans to handle the day-to-day communication with clients, and Mozingo will consult with clients, drawing on his many years of experience as a wedding vendor. While the idea for a venue like Chatham Station seemed natural to them, going through the process of finding a space and implementing their ideas had its challenges. It took the partners three years to find the right space and call it their own. Mozingo and Shumay say they don’t have a specific number of events they want to hold each month. Instead, their focus is to make each person’s experience special when they attend or hold an event at Chatham Station. And that is the goal of Chatham Station: to bring together the resources downtown Cary and the Triangle have to offer, all while focusing on quality over quantity.